Cinema, Religion and the Romantic Legacy surveys the ways in which notions of religion and spirituality have impinged upon the cinema. Cinema is conceived as a post-Romantic form for which religion and spirituality can be unified only problematically. While inspecting many of the well-established themes and topoi of writing on religion and film (such as films about priests and 'Christ-figures') it also seeks to problematize them, focusing primarily upon the issues of religious representation foregrounded by such European directors as Kieslowski and Godard. Coates draws on theories of theologians, philosophers and cultural and literary critics including: Otto, Kant, Schiller and Girard. 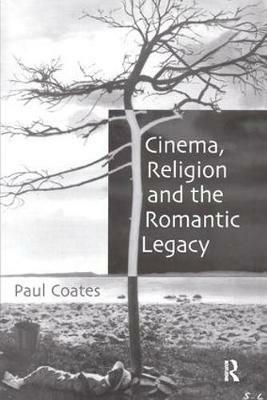 Addressing the relationship between religion and spirituality from a film studies specialist's perspective, this book offers all those concerned with film, media or religious studies an invaluable examination of artistic interaction with the theological and aesthetic issues of representation and representability. Paul Coates is Reader in Film Studies at the University of Aberdeen, Scotland, and author of many books including: The Gorgon's Gaze (CUP), Film at the Intersection of High and Mass Culture (CUP), The Story of the Lost Reflection (Verso).